If you have material you would like to donate please go to the Contact page for further details. 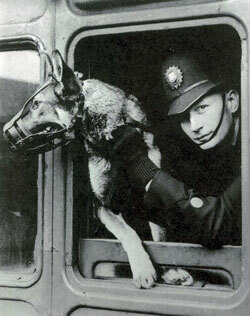 The BTP History Group is a voluntary organisation aimed at preserving the history of the British Transport Police and its constituent forces. Although it is run by volunteers we do have necessary expenses in administering the Group, maintaining this website, and researching the various Projects being undertaken. Our main source of income is currently the Membership Fee charged to those joining the Group, and we have been fortunate to receive donations from other sympathetic organisations and individuals. We request modest donations for services such as making family history enquiries and providing information or images. We also gladly accept any other voluntary donations. If you wish to discuss this further please use our Contact page. BTPHG Membership Secretary, 20, Burton Close, Perrycrofts, Tamworth, Staffordshire, B79 8UB. We also accept donations by Debit or Credit Card via PayPal. £3.50 For a successful name check enquiry (no charge for a no trace enquiry), with results from our database. Scans are usually delivered via photo email. *Please note that to access paper records requires one of our members travelling to our archive, so there may be a time delay in obtaining results.